Home Unlock Huawei How to Unlock Huawei E5330 (E5330As-2, E5330Bs-2 & E5330Bs-6)? How to Unlock Huawei E5330 (E5330As-2, E5330Bs-2 & E5330Bs-6)? Recently, Huawei had launched the E5330, the latest modem in the global market. Network providers also started selling its sub-models in the market, locked to his own network. 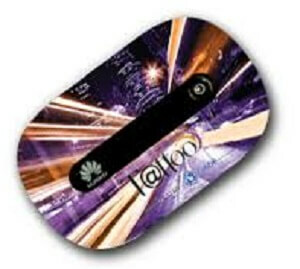 Globe Tattoo, the famous network provider of Philippines, have also launched the Huawei E5330Bs-2 mobile Wi-Fi router. Today, I got the opportunity to unlock this modem and got success. Huawei E5330As-2 and Huawei E5330Bs-6 are another variant models available in the market. Unlocking procedure is same for all models, as it comes with un-customized firmware, and there is no need to flash or downgrade the E5330. How to Unlock Huawei E5330As-2 & E5330Bs-2 Mobile WiFi Router? 1. Change the default sim with another network provider (Insert SIM another than Globe Tattoo in your mobile wifi router). 2. Plug your device to PC using its default USB cable. 3. Login to E5330 Bs-2 dashboard (use admin as username and password both, if you have not already changed it). 4. It will redirect you to unlock page. 6. Go to Advanced Settings – SIM Settings – Unlock Device – Enter Unlock Code – Click on Apply. 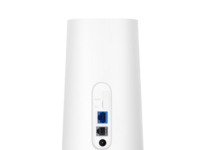 Now your Huawei E5330 (E5330As-2 or E5330Bs-2) mobile WiFi router is permanently unlocked. Now configure the profile with correct APN, as per new sim card, and connect to the internet. Unlock code charge of Huawei E5330As-2, Huawei E5330Bs-6, Huawei E5330Bs-2 is chargeable. Previous articleHow to Unlock O2 E173, E1752C, E3131, E353 or E355 Huawei Modem?